DAVID JUNKIN creates another powerful piece for Seven Days for a really disturbing article. 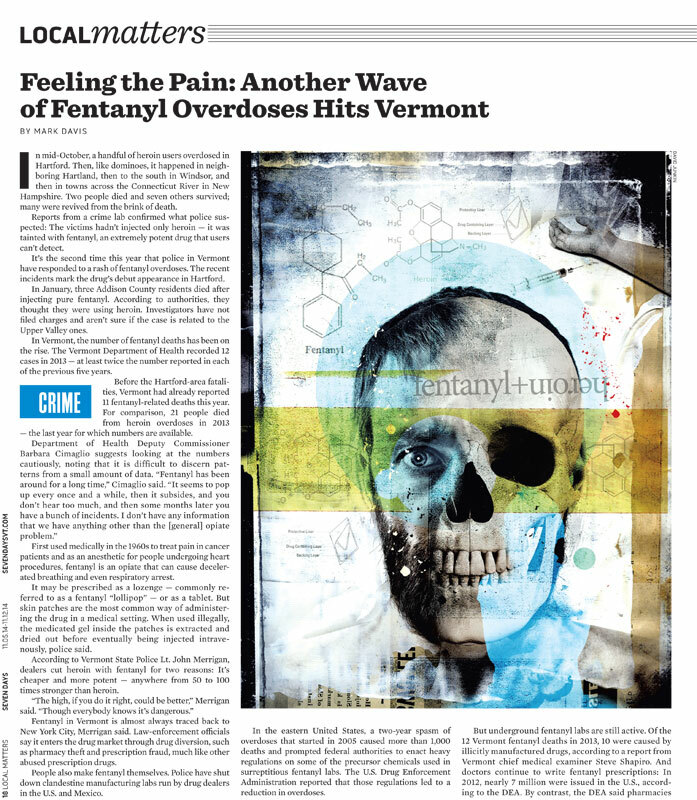 The article called “Another Wave of Fentanyl Overdoses Hits Vermont” is about how heroin junkies have figured out how to extract fentanyl from fentanyl patches and are mixing it with heroin…the result is deadly. 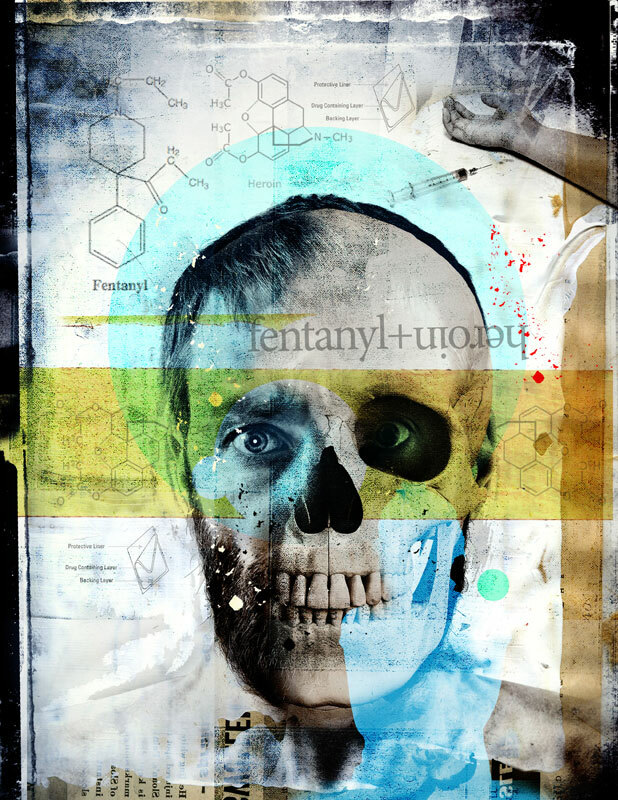 There has been a recent increase in overdoses and death because of this.